How Do You Decide Which Church to Belong To? If you are looking to join a church, you may wonder: Which church should I join? Why True Jesus Church? Does it matter which church I belong to? But if this reasoning is true, why are there so many different churches in the first place? History tells us that Christianity divided exactly because doctrinal issues were so important that disagreements over them led to separation. So any attempt to overlook these fundamental differences does not address the obvious plurality among Christian churches. Facing this dilemma, we have to answer some very crucial questions: Does Jesus recognize all self-proclaimed “churches” as His body? How do we know a church is truly the body of Christ? Most importantly, how can we be sure that we are in the body of Christ? When we have answers to these questions, we will know which church to belong to. The Bible clearly shows that there is only one community of God’s elect throughout history. Noah built only one ark through which he and his family were saved (Heb 11:7). There was only one temple and one Holy City where God’s name dwelled (2 Chr 6:5-6, 20). In Isaiah’s prophecy, God will establish only one mountain for His house, and this mountain will be exalted above the hills (Isa 2:2-3). The Lord Jesus is the shepherd over only one flock (Jn 10:16). Christ has only one body (1 Cor 12:13; Eph 4:4). There is only one house of God (1Tim 3:15), and the Lord knows only one bride (Rev 21:9; Song 6:9). The Bible consistently emphasizes this concept of the oneness of the church. When Paul knew about the divisions in the church in Corinth, he asked rhetorically: “Is Christ divided?” (1 Cor 1:13) As much as men tend to divide, Christ is always one. Just as it is impossible to think of a divided Christ, there cannot be a divided church. This is why Paul encouraged the members in Ephesus to “[endeavor] to keep the unity of the Spirit in the bond of peace” (Eph 4:3). Moreover, the oneness of the church is not only in the spiritual dimension. This oneness is also visible to the world. The Lord Jesus prayed that the Father would unite the disciples as one so “that the world may know that [the Father] sent [Him]” (Jn 17:20-23). Therefore, just as the church is spiritually one, she must also be united as one in reality. Knowing now the concept of oneness in the Bible, let us apply this principle to decide which church we should belong to. We must find the one church as defined by the Bible. But how does the Bible define this one true church—the body of Christ? This passage clearly tells us that there is one body of Christ, which is the true church. This body of Christ consists of several aspects: one Spirit, one hope, one Lord, one faith, one baptism, one God and Father of all. Most Christians share the one hope of salvation through the one Lord, Jesus Christ. And most also believe in the one almighty, all-knowing and all-present God and Father. However, the other important elements of the one true church—one Spirit, one faith, and one baptism—are generally overlooked in Christianity. Since the Holy Spirit brings unity to the body of Christ (Eph 4:3), believers of the true church must receive the same Spirit. They must share the same belief and experience of the Holy Spirit. But this is not the case today. Some claim that a believer straightaway receives the Holy Spirit upon conversion. Others believe that a person needs to ask for the Holy Spirit through prayer, and speaking of tongues is a necessary evidence of receiving the Holy Spirit. There are also diverse kinds of spiritual phenomena. In some churches, people fall to the floor when they pray, while others dance or laugh uncontrollably. 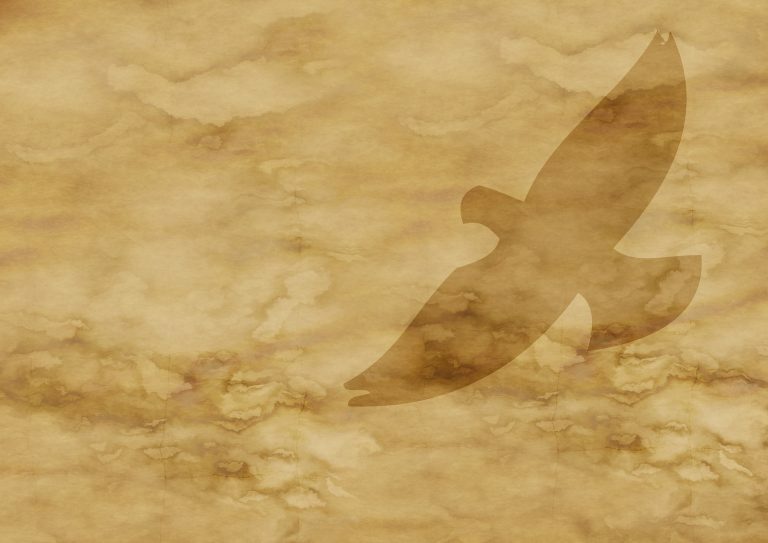 In other churches, Christians believe that the Holy Spirit renews them inwardly. The Holy Spirit is the Spirit of truth who reveals the truth of salvation to believers (Jn 14:16,26; 1 Cor 2:9-12). So how can the one Spirit be the source for all these vastly different claims and experiences? We should therefore look into the Bible to find the original experience of receiving the Holy Spirit when the church was first established. Believers of the true church today must receive the Holy Spirit the same way the apostles did (Acts 10:47). The Holy Spirit will only abide with the church whose believers share the same apostolic experience. The church is built on the foundation of the apostles and prophets (Eph 2:20), who preached the one gospel of salvation. The true church today must also uphold this one gospel and be built up to the unity of faith (Eph 4:13). All believers must therefore share a common faith in terms of salvation (Jude 3). Unfortunately, this is not the case among churches today. Some claim that accepting Jesus Christ into our hearts and openly confessing His name are enough to guarantee salvation. Others may acknowledge the necessity of water baptism, footwashing, and the Holy Communion for salvation but differ in their views on the biblical way to conduct them. The true church as defined by the Bible cannot possibly hold these conflicting doctrines of salvation. The true church must firmly uphold the one gospel of salvation, for those who do not abide by this gospel cannot be saved. This gospel must be accepted by all who seek salvation. Believers become members of the one body through baptism, which is described in the Bible as “baptism into Christ” (Rom 6:3; Gal 3:27). This means that, through baptism, we are united with Christ in the likeness of His death and resurrection (Rom 6:3-5). Again, there are divergent views on baptism among churches today. Some churches consider baptism as a personal expression and a public declaration of faith. To them, baptism is only symbolic because it does not have the spiritual effect of washing away one’s sins. But even among churches that believe in the necessity of baptism for salvation, there are different views on its administration. The truth is, only one baptism can bring us into the body of Christ. This baptism is effective because of the presence of the Holy Spirit (1 Jn 5:6-9). Therefore the true church must perform baptism in the abidance of the Holy Spirit for those who are of one faith. The apostolic church began as one body. She preached the one gospel of salvation and all believers received the Holy Spirit in the same way. The Holy Spirit founded only one church, and this church was always a single institution. Believers came into this body through baptism into Christ (Acts 2:38-41; 8:12; 10:48; 16:14-15, 31-33; 19:1-5). By one Spirit they were all baptized into one body (1 Cor 12:13). The members of this church were all one in Christ (Gal 3:28). The church grew as new converts came into this community. And these converts, regardless of their nationality or background, were baptized and received the Holy Spirit in the same way other members did. As this ministry expanded the gospel was preached to different parts of the world. But even then, the church was never a coalition of Christian groups maintaining different beliefs. It was always the same church, with congregations of the same faith at different locations. Not only so, the apostolic church also maintained one gospel of salvation. Paul was so vehement in defending this gospel that he repeatedly said, “But even if we, or an angel from heaven, preach any other gospel to you than what we have preached to you, let him be accursed” (Gal 1:8-9). Later, as heresies infiltrated the church, the believers were commanded to drive out the unrepentant and refuse hospitality to anyone who preached a false doctrine. John wrote to the church regarding those who left: “They went out from us, but they were not of us; for if they are had been of us, they would have continued with us; but they went out that they might be made manifest, that none of them were of us” (1 Jn 2:19). The apostles did not hesitate to exclude those who held different beliefs. Isaiah prophesied that in the end time there will be only one church, which will rise as a mountain above all other hills. All nations will stream to this church to receive the word of the Lord. The Lord Jesus spoke of the believers as one flock and Himself as the Shepherd. There is only one flock—not many small flocks. Sheep outside of the flock will hear the Shepherd’s voice and join this flock. Evidently, God’s will is to have one church on earth, rather than many Christian denominations. In the last days, God will recognize only one church as the mountain of the Lord and the flock of Christ. As was the apostolic church, this one church must be established by the Holy Spirit and preach the one true gospel. The True Jesus Church, founded in 1917, is the revival of the apostolic church. Just as the Holy Spirit descended on the apostles and emboldened them to preach the gospel, the Lord poured out His Spirit on the first few members of the church and revealed to them the perfect gospel of salvation according to the Bible. Commissioned to the ministry, they began to preach faithfully and zealously. The Lord was with them and confirmed the message with the outpouring of the Holy Spirit, great signs, and miracles. Believers receive the promised Holy Spirit and experience the power of God. In essence, the True Jesus Church is the body of Christ, not because of her members, but because of the true gospel and the Holy Spirit that God has entrusted her. This claim is not a matter of human pride, but of knowing and respecting that God has established this church to spread the gospel to the world. Ultimately, deciding which church to belong to is much more than a matter of convenience, family tradition, or personal preferences. The church you belong to decides whether you are in the body of Christ and receive the gospel of salvation. With this in mind, we pray that God will open your heart and mind to understand the true gospel and believe in the true church.